In this tutorial, I will show you how to get column name and corresponding datatypes in particular table using SQL Server. 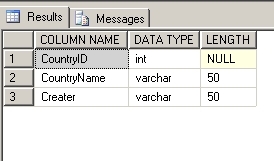 I have one table with lot columns in database at that time I tried to know the column names and corresponding datatypes and their maximum sizes in particular table for that I written the following query in SQL server to get column names and datatypes in particular table. Here you need to enter your table name if that is in Caps lock you should enter caps lock name of your table only because it it is case sensitive. 1. Open SQL Server Management Studio and expand the SQL Server Agent node and Select the JOB that you want to change the running account. Now your job will run under chosen user account. It is always recommended to run your SQL JOBS under one account rather putting to many user accounts for to many JOBS. This post is for the people who have the business reason and want to run under different user account. Msg 3176, Level 16, State 1, Line 1 File 'D:\SQL Server 2008 DBs\test01.mdf' is claimed by 'SCTA_ORG_SECOND'(3) and 'SCTA_ORGANIZATION'(1). The WITH MOVE clause can be used to relocate one or more files. so you will notice there are two files of mdf with the same name so just change the name of second one to test02 or to test01.ndf ( different extension) then run the command and it's successfully restored. so the logical answer for this error first test01.mdf is a primary data file and the second is the secondary data file but the extension and name are same so that way you have to change the name or extension of second file with any other name or extension. Note: the extension is anything ( it can be .fad or .ndf but .ndf is best practice to determine what this file for for example .ldf for log file , .ndf for secondary data files ..). Finally : I think the original database backup come from SQL Server 2000 and maybe this behavior allowed in SQL Server 2000 or the name is a case sensitive ( test01.mdf not like test01.MDF). 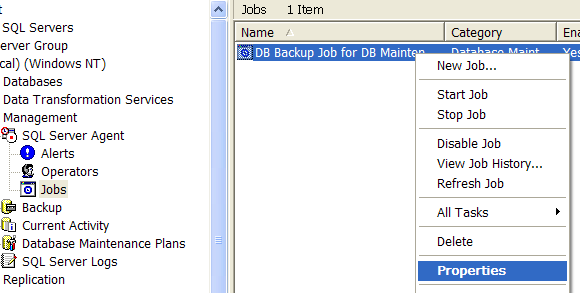 European SQL 2008 Hosting :: How to calculate Session data size for SQL Server session mode? 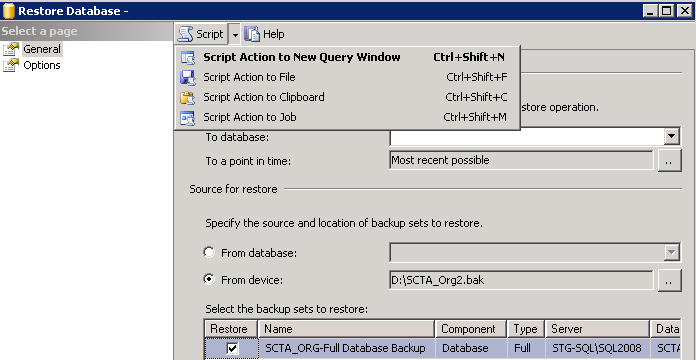 SQL Server use ASPState database to store the session information for SQL Server Session mode. 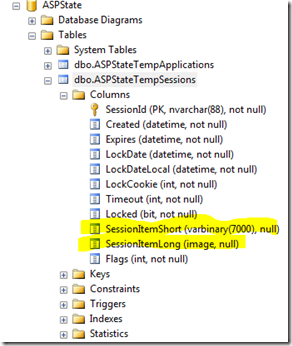 ASPState database having two tables ASPStateTempApplications and ASPStateTempSessions. ASPStateTempApplications table contains Application ID and Application Name which is specific to each and every application which are using SQL Server session mode on the particular database. ASPStateTempSessions table having numbers of fields to store the session related information which includes [SessionId], [Created], [Expires], [Timeout] etc. [SessionItemShort] and [SessionItemLong] actually contains the session data for every users. If the session data size is < = 7000 KB it will be stored in SessionItemShort field and anything > 7000 KB will be stored in SessionItemLong field. Note : While running SQL query, you have to make sure you are calculating the size of proper field, if the session data size may vary for different user then you can try to find the data size for both SessionItemLong and SessionItemShort field. Transparent Data Encryption is a new feature in SQL Server 2008. The TDE feature provides real time encryption of both data and log files. Encryption basically working in the following way; initially the data is encrypted before it’s being written to the disk and it is decrypted before it is being read from the disk. When you are using the Transparent Data Encryption feature of SQL Server 2008 the encryption is performed by the SQL Server 2008 Database Engine and the SQL Server clients will not be aware of this change. However, before implementing this feature in Production environment I would request you to validate the solution completely in the Test Environment. The initial step will be to identify if there is any Master Key already created in the Instance of SQL Server 2008 where you want to implement this feature. You can verify the same by executing the below mentioned TSQL code. 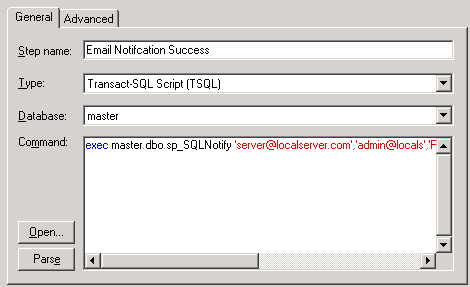 If there are no records found, then it means there was no predefined Master Key on the SQL Server 2008 Instance. To create a Master Key, you can execute the below mentioned TSQL code. Once Master Key is created then the next step will be to Create or obtain a certificate protected by the master key. This can be achieved by executing the below mentioned TSQL code. Next step will be to create a new database. Once the database is created you can create a database encryption key and protect it by the certificate by executing the below mentioned TSQL code. Once the Database Encryption Key is created successfully you need to take a backup of the Certificate and the Private Key by executing the below mentioned TSQL code. You can verify the database encryption status by executing the below mentioned TSQL code. SQL European Hosting :: How to Fix Error 8645: A time out occurred while waiting for memory resources to execute the query. Re-run the query. The programmers are getting this error message when there is high workload on the server. And servers are experiencing high memory pressure. In this error theire are some additional symptoms also. 1. When connecting to server will get the error message as "Login Failed". 2. Will get disconnected from server. 3. CPU usage will be very high. 4. if running "select * from sysprocesses" SPIDs will have a waittype of 0x40 or 0x0040 and a last_waittype of RESOURCE_SEMAPHORE. value for Memory Grants Pending. the "Wait For Memory" or the "Wait For Memory Timeout" text. Reasons for this error is memory intensive queries are getting qued and are not getting resources before timout period. And after timout period and getting timout. By default query wait period is -1 by setting non-negative number you can improve the query wait time. Other reasons for this errors are not properly optimised queries, memory allocation for sql server is too small. Solutions for this error include the following. 1. Optimise the performance of queries using sql profiler. 2. Distrybution statistics should be uptodate. 3. Watch the system monitor trace to see the memory usage of sql server. 4. If you are running SQL Server 7.0, test disabling parallelism for SQL Server 7.0 by turning the max degree of parallelism configuration option off. Microsoft SQL Server 2008 R2 is the latest release of SQL Server. This article will introduce the top 10 features and benefits of SQL Server 2008 R2. The “R2” tag indicates this is an intermediate release of SQL Server and not a major revision. However, there are a number of interesting new features for both DBAs and developers alike. At the time of this article, R2 is available as a CTP (Community Technology Preview). In addition to new features, there are two new editions as well, SQL Server 2008 R2 Datacenter and SQL Server 2008 R2 Parallel Data Warehouse. Report Builder is a tool set for developing rich reports that can be delivered over the web. Some of the features of Report Builder include the ability to create reports containing graphs, charts, tables, and printing controls. In addition, Report Builder also supports drill downs and sorting. If you are familiar with the third party tool Crystal Reports, then you have good idea of what to expect from Report Builder. New features in SQL 2008 R2 / Report Builder 3.0 include: Map Layers, which can hold spatial and analytical data and will integrate with Microsoft Virtual Earth. Indicators, these are gauges used to show the state of one value. Report Parts, this object can be reused or shared between multiple reports. Aggregate Calculating, this allows you to calculate the total value of other aggregate calculated totals. The new Datacenter edition of SQL Server 2008 R2 is targeted towards Enterprise Edition users who require a greater performance platform. The new edition will support 256 logical processors, high numbers of instances, and as much memory as the operating system will support. Another new SQL Server edition, Parallel Data Warehouse, formally codenamed “Madison”, specializes in handling extremely large amounts of data. This new version uses massively parallel processing to spread large tables over multiple SQL nodes. The multiple nodes are handled by a propriety Microsoft technology called Ultra Shared Nothing. This new technology is described as a Control Node spreading queries to Computer Nodes, evenly distributed, then collecting the results. New in SQL Server 2008 R2 is component called StreamInsight. This interesting component allows streaming data to be analyzed on the fly. Meaning the data is processed directly from the source stream prior to being saved in a SQL Server table. This could be extremely handy if you’re running a real time system and need to analyze data but can’t afford the latency of a committed write to a table first. Examples usually cited for this application include stock trading streams, click stream web analytics, and industrial process controls. Multiple input streams can be simultaneously monitored. Master Data Services (MDS) is both a concept and a product. The concept of a Master Data Service is that there is a central data gate keeper of core business data. Data items such as customer billing addresses, employee/customer names, and product names should be centrally managed so that all consuming applications have the same information. The Microsoft example given is a company that has a customer address record in the customer table but a different address in the mailing table. A Master Data Service application would ensure that all tables would have only one correct address. While an MDS can be a homegrown application, SQL Server 2008 R2 includes an application and an interface to manage the central data. PowerPivot is an end-user tool that works in conjunction with SharePoint, SQL Server 2008 R2, and Excel 2010 to process large amounts of data in seconds. PowerPivot works like an Excel Pivot Table, and includes analytical capabilities. 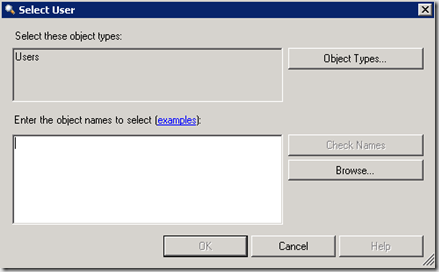 A Data-Tier Application (abbreviated as DAC –no idea what the C stands for, and not to be confused with the Windows Data Access Components also abbreviated as DAC ) is an object that stores all the needed database information for a project, such as login, tables, and procedures into one package that can be consumed by Visual Studio. By creating a Data-Tier Application, a SQL Server package version could be saved with each Visual Studio build of your application. This would allow application code builds to be married to a database build in an easily managed way. SQL Server 2008 R2 uses a new algorithm known as Simple Compression Scheme for Unicode storage. This reduces the amount of disk spaced used by Unicode characters. This new format happens automatically and is managed by the SQL Server engine so no programming changes are required of the DBA. The new SQL Server Utility is a repository object for centrally controlling multiple SQL Server instances. 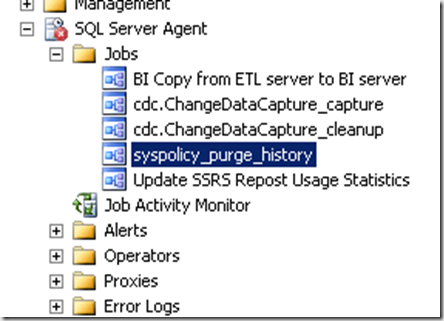 Performance data and configuration policies can be stored in a single Utility. The Utility also includes an Explorer tool where multi-server dashboards can be created.